For fair and youthful skin - LIMITED TIME SALE - BEST PRICE IN THE WORLD!!! These capsules make skin beautiful from the inside out. 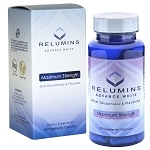 They are nutritive supplements that deliver powerful lightening and anti-aging ingredients where they are needed most. 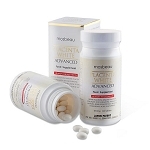 - The capsules contain Glutathione, which has dramatic whitening properties. Glutathione is also an antioxidant that neutralizes the free radicals that attack the skin and make it look older. 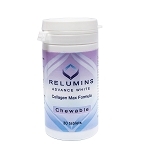 - Restores collagen, giving skin a youthful, elevated look. - Repairs old wrinkles and prevents new ones. 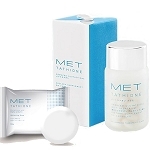 - Developed by a dermatologist in accordance with the latest scientific research on skincare. Take two capsules per day, with or without a meal. 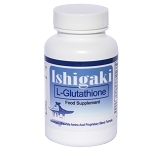 Glutathione – Glutathione has developed a reputation in nutrition and skin care as a highly beneficial and functional nutrient. It exists naturally in the human body, regulating cellular oxidative stress and earning itself the title of “Master Antioxidant”. Furthermore, glutathione is the key to whiter skin because it naturally inhibits melanin synthesis by disrupting the activity and transport of the melanogenic enzyme tyrosinase. Glutathione actually cause melanosomes to create a pink pigment, pheomelanin, giving skin a pink glow. Its antioxidant properties also transfer an enormous benefit to skin health by preventing the cell damage that can lead to discoloration. Its effectiveness is backed by clinical and preclinical studies as well as the scientific understanding of its mechanisms. N. Arjinpathana and P. Asawanonda (2012) demonstrated the effectiveness of oral glutathione taken at a dose of 500mg/day for 4 weeks in a double-blind clinical setting. 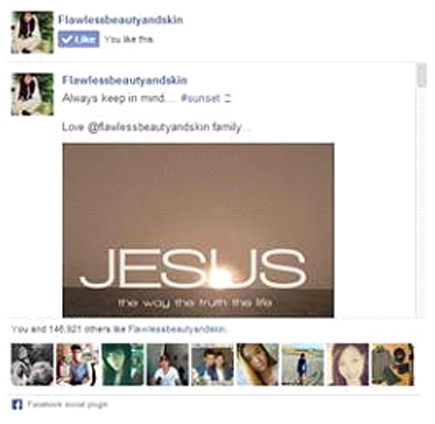 This study demonstrated a whitening effect on overall skin as well as dark spots. Collagen – The structural skin super-protein, collagen, has long been sought after by people with damaged or aging skin. Though it is naturally formed in the body, collagen synthesis slows with age or from stresses and health conditions. Loss of collagen leads to wrinkles, sagging and poor skin hydration. 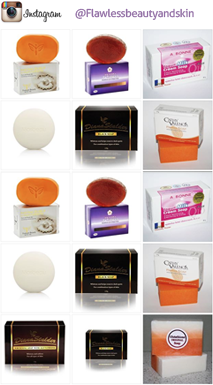 For firm, plump skin, collagen needs to be maintained through supplementation and nutrition. The effectiveness of hydrolyzed collagen, a highly absorbable peptide also known as collagen hydrolysate, as an oral supplement for skin support has been documented in numerous studies. 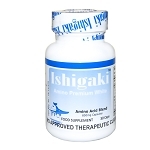 A 2008 study from Tokyo University of Agriculture and Technology looked at oral ingestion of the peptide at a dosage of 0.2 grams of collagen per kilogram of body weight per day. They demonstrated that it was effective at reducing or mitigating UV-B-induced skin damage such as decreases in skin hydration, hyperplasia of the epidermis, and decreases in soluble type I collagen. A 2008 literature review from the Archives of Dermatological Research concluded, based on a number of clinical and preclinical studies, that oral ingestion of hydrolyzed collagen could achieve beneficial skin effects.